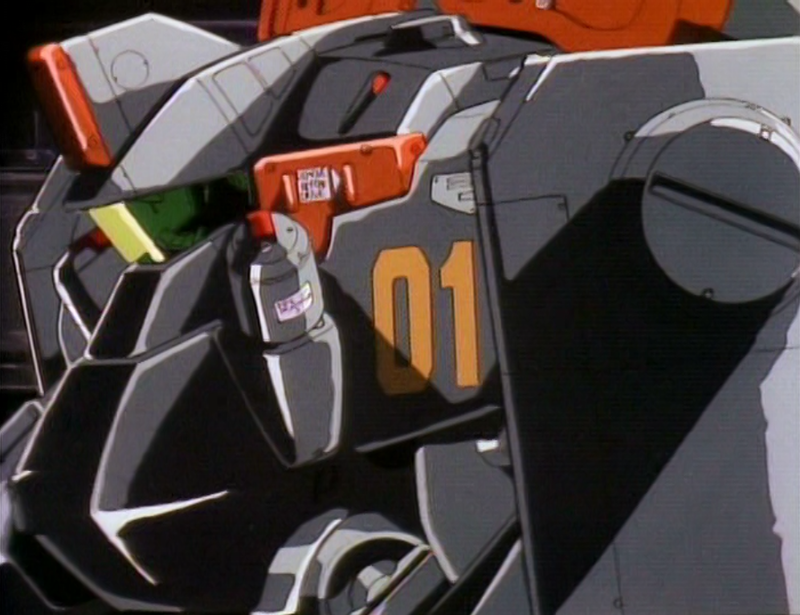 Mech suits have been around in anime since 1979 with the introduction of Mobile Suit Gundam. There have been many iterations and different styles over the years. 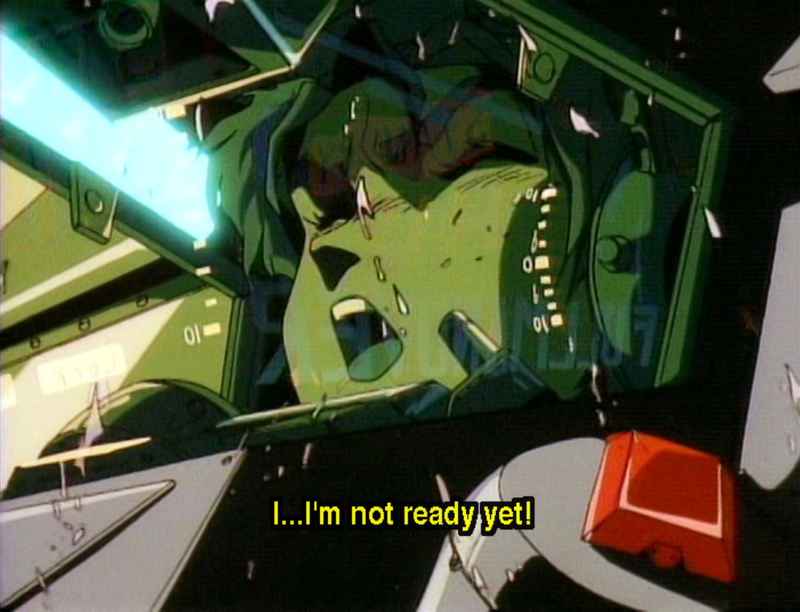 I have a personal history with Mecha; some of the earliest anime that I watched had them in it. Be it the Gundam series, Blue Gender, The Vision of Escaflowne, the list keeps going. So it is easy to say I have some experience with these machines and love them dearly. 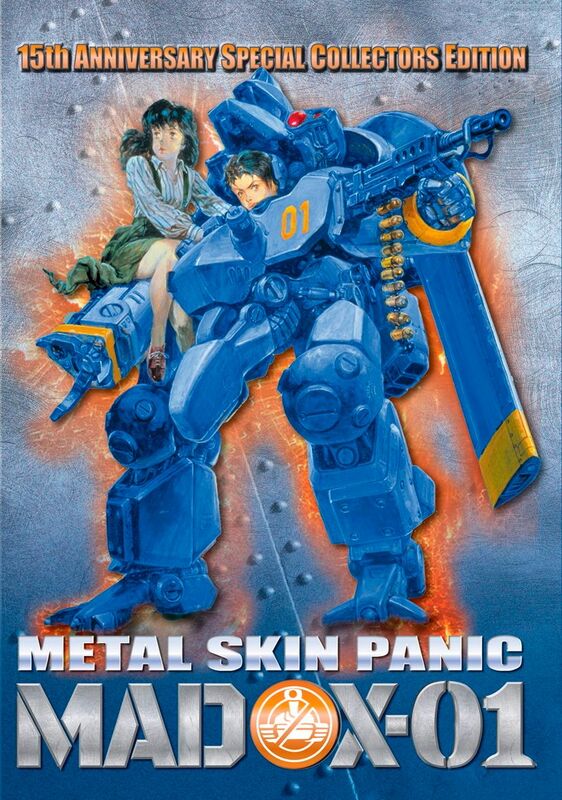 Enter in 1988’s OVA Metal Skin Panic MADOX-01 and from the start I was intrigued. Metal Skin Panic MADOX-01 is written and directed by Shinji Aramaki, who also directed 2004’s Appleseed film. 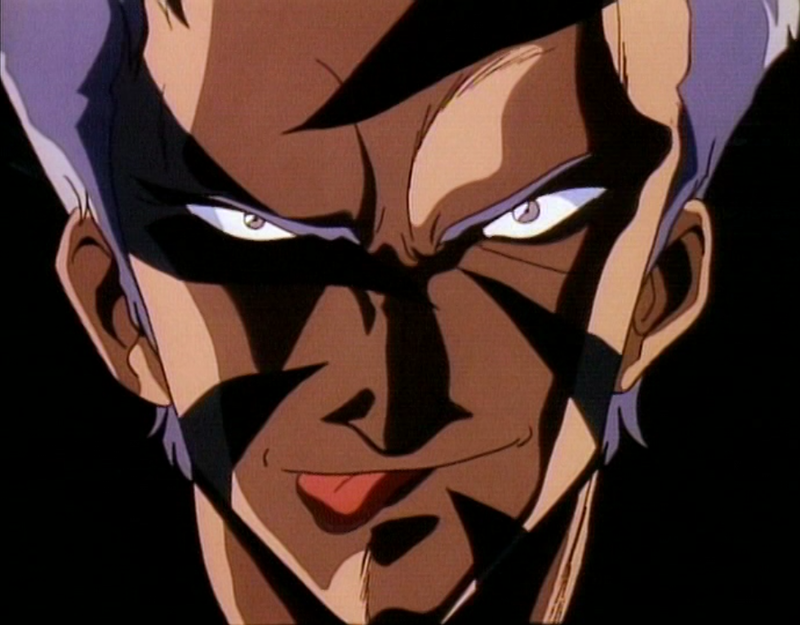 He also wrote the story for Megazone 23 Part I & II­. Character designs are by Hideki Tamura, who also worked on Dream Dimension Hunter Fandora. Hideaki Anno, who is best known for working on the popular Neon Genesis Evangelion series, did the animation. In 1990 Hideaki won the Animage Anime Grand Prix award for Nadia: The Secret of Blue Water, respectively in 1995-1996 for Neon Genesis Evangelion; and finally for The End of Evangelion film in 1997. Metal Skin Panic MADOX-01 opens up with a virtual training simulation in which MADOX-01, an advanced mech suite, is tested against a number of high tech tanks. Leading the tank battalion is 1st Lt. Kilgore. They are all set in the dessert amongst the ruins of a small town, with upheavals of rocks in the terrain. Kilgore and the rest of his tanks get taken out easily by Ellie Kusumoto who is piloting MADOX-01. He does not take kindly to being beaten and holds a grudge against the machine that defeated him in the test run. Later on, while in transit inside the back of a military truck, a box containing the Madox suit is tossed off a high overpass when the truck crashes during an accident. Our hero Kouji Sugimoto is a student at the Tokyo School of Engineering and happens to come upon MADOX-01’s box as it crashed through the auto shop he works at late during the night. Being helplessly curious he takes the box home and opens it up to unveil what is inside. By pressing a few buttons to unlock the case MADOX-01 goes from being in a compacted state to constructing into a full fledge mech suit in just seconds (and still somehow manages to fit in his tiny apartment, and not break through the floor). While examining the suit Kouji decides to get inside to see if he can get it to move; this causes the suit to close in and lock him inside. He has to get to downtown Tokyo to meet his girlfriend the day before she is forced to leave to study in England. All the while Kilgore is determined to find and destroy the MADOX-01 unit. The animation in MADOX-01 ranges from being superb to just being average at points. Especially well animated are the tanks, with fluid motion and real weight to them from the basic ones in the beginning test run to Kilgore’s personal advanced design seen later. Another point where the animation really shines through is the fights. 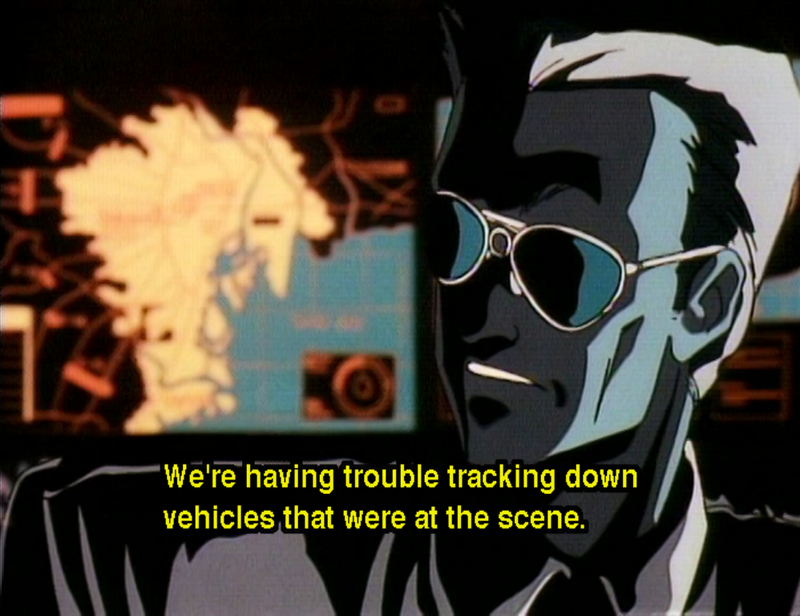 No matter what situation the vehicles are in they all move smoothly and believable, guns, rockets and any other weapons like chain-wings, that Kouji uses to cut off the top part of a car, falls under this as well. Also the fight between Kouji and Ellie that takes place in various parts of the city is smooth and believable. Overall it is beautiful to watch and only adds to the already awesome whole that is Metal Skin Panic MADOX-01. Metal Skin Panic MADOX-01 is paced well, with something exciting always happening. For something that is barely an hour, Madox is chalk full of action and jam packed to the brim. Out of the three main fight sequences it still has action peppered in between. It never lingers too long on any scene and a fight usually breaks up long portions of dialog. For instance, instead of Kilgore trying to contact his commanding officers about MADOX, he just decides to go on his own and deploys himself into Tokyo via cargo airplane. There are no pointless scenes or wasted time; everything happens to advance the plot. Pros: The music in Metal Skin Panic MADOX-01 is fairly good; the rock-ish soundtrack complements the action well and adds to the experience by putting exciting, fitting music to mechs and tanks fighting the crap out of each other. The animation is solid and will actually get better; with the mechs you see intricate parts in certain sections and fights. Pacing is perfect and the story flow rather nicely. The characters are intriguing and have their own interesting personality, like Kilgore being obsessive, or Kouji being bumbling. Having a small cast makes mostly everyone unique. Cons: The only thing I can find with Metal Skin Panic MADOX-01 is that I wish there was more of it. Being relatively short you get a small dose of the universe and I wanted to see more of this world. Metal Skin Panic MADOX-01 is short, simple, and sweet. It has a nice length, easy to follow plot, and full of excellent visuals. Metal Skin Panic MADOX-01 is enjoyable to watch and has a lot of things going for it. I found little to no problems with it and more people should invest their time into seeking out and finding this one. Whether watching it alone or with a group of friends, Metal Skin Panic MADOX-01 is all around fun.